Adventurer, knight, merchant, or noble, the Brass Stud Medieval Cross Belt in Brown is a great accessory for both historical and fantasy looks. 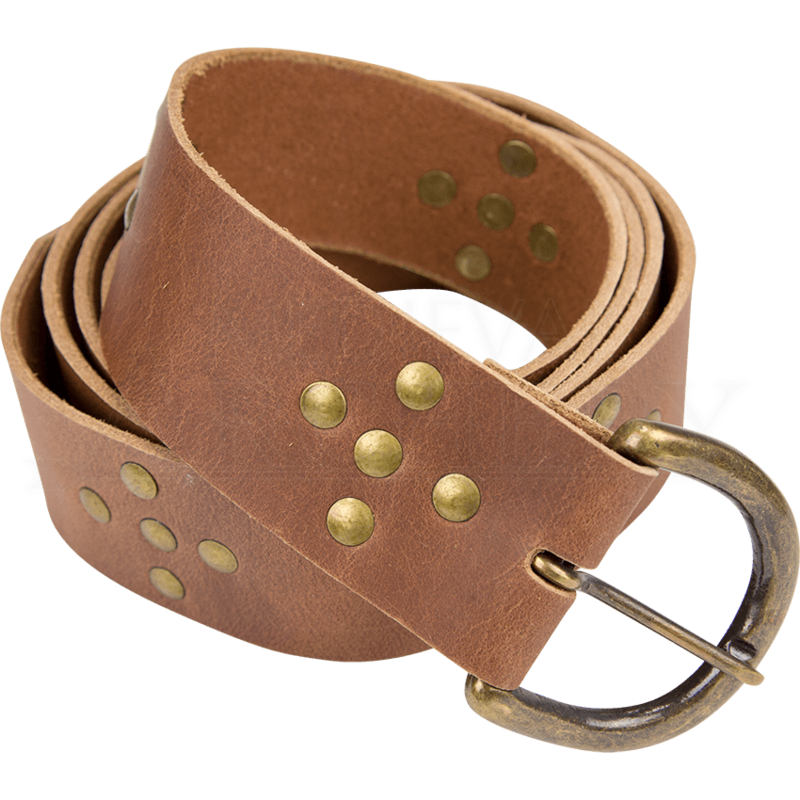 This handcrafted leather belt has brass studs forming crosses from buckle to tip. This brown medieval belt works especially well for Crusaders, but can suit almost any outfit. Its moderate width makes it easy to accessorize with sword frogs and pouches. Please note that this belt is unpunched. Add the notches yourself for the perfect fit. Bring detail to LARP, Renaissance faire, or reenactment costumes with this brass studded medieval belt.